Crytek on Homefront 2: "everybody knows the IP"
Sequel setting is "really cool". One of the reasons Crysis developer Crytek signed on for Homefront 2 with publisher THQ was because of how well known the franchise is. So good was THQ's marketing of the first game, company founder Avni Yerli told Eurogamer sister site GamesIndustry International at GDC, that "everybody knows the IP". 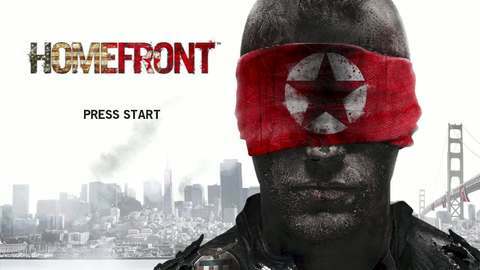 THQ announced Homefront 2 in September last year. It's in development at Crytek UK, the studio that formed from the ashes of Haze, Second Sight and TimeSplitters creator Free Radical Design. It will launch in financial year 2014 - anytime from April 2013 to March 2014 - for PC and unspecified consoles. Homefront launched last year to commercial success, despite mixed reviews. But it was not enough to save the studio behind the game, Kaos, which shuttered soon after launch. "It has a huge mind share, everybody knows the IP," Yerli said. "The first game has indeed a low Metacritic, but due to really great positioning and great marketing it has reached a good mind share." This, coupled with Crytek's trademark quality, should stand Homefront 2 in good stead, Yerli said. "I think with Crytek quality attached to it and similar marketing attached to it, it can make a big splash at the time it comes out." Little is known about Homefront 2, other than it will use the latest CryEngine technology. Crytek's General Manager of games Nick Button-Brown said development is going well and the game looks promising. "When you look at the world they created in the first game and the world that they were talking about for the second game, the setting they were talking about... obviously we can't talk about it yet, but it's really cool," he said. It's always gunny in Philadelphia. PS4 Pro support, HDR and the third and final DLC.